Set within the stunning Kew Gardens, Kew the Movies sees the beautiful botanical gardens of southwest London host a pleasant pop-up cinema beneath the stars over two consecutive nights. In 2016 Kew the Movies takes place mid-week starting with 'Star Wars - The Force Awakens' as Harrison Ford's Han Solo makes a triumphant return. It's followed by Steven Spielberg's 'Jurassic Park' - the perfect film for an open air screening against the tree-lined, botanical setting of Kew Gardens. And in late summer, on Wednesday 7th and Thursday 8th September, American teen comedy 'Mean Girls' is paired with David Bowie classic 'Labyrinth'. 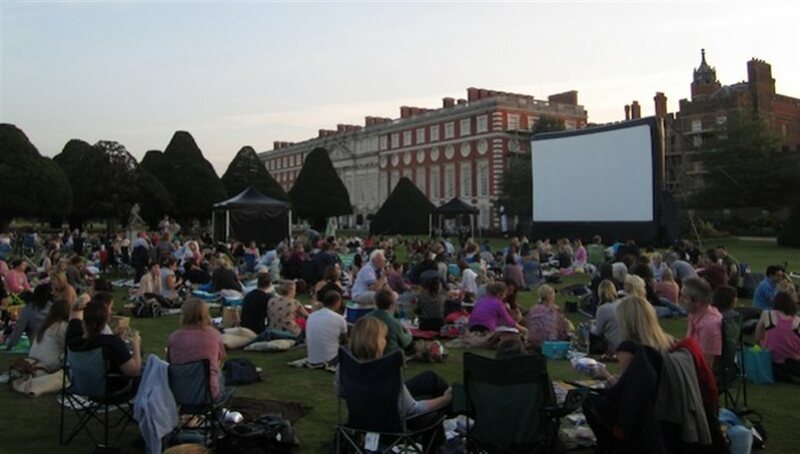 All the screenings are hosted by Luna Cinema and set against the beautiful backdrop of Kew Palace within Kew Gardens. Guests are invited to bring picnics to spread out on the lawns - just cross your fingers the rain keeps away. What are the best dining options near Kew the Movies London? Kew the Movies gyms, sporting activities, health & beauty and fitness. The best pubs near London Kew the Movies. Kew the Movies clubs, bars, cabaret nights, casinos and interesting nightlife. Where to have your meeting, conference, exhibition, private dining or training course near Kew the Movies. From cheap budget hotels to luxury 5 star hotels see our special offers for Kew Gardens (Royal Botanic Gardens) hotels, including Holiday Inn Express London Ealing from 82% off.